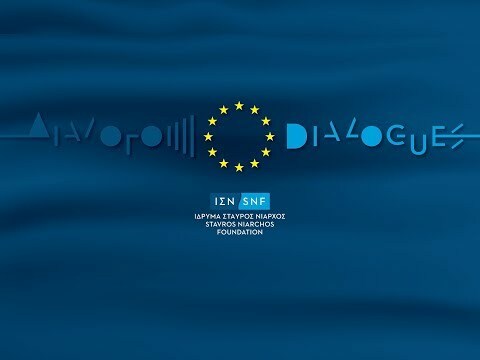 The challenges and dilemmas facing Europe in the lead-up to the European elections in May formed the basis of discussion for SNF’s April DIALOGUES event. Speakers addressed the issues that have created a multi-speed reality among EU member states, political turbulence, and the forthcoming withdrawal of the UK from the EU. The event was organized in collaboration with Chatham House, the Royal Institute of International Affairs, a world-leading policy institute based in London, UK. In addition, Μr. Andreas Apostolides, director of the documentary “Citizen Europe”, and Mr. Kostas Tsoutsoplides, Press Officer at the Representation of the European Parliament in Greece, also contributed to the discussion. The event took place on Wednesday, April 17th at the 2nd General High School of Athens “Theodoros Angelopoulos”. The 2nd General High School of Athens “Theodoros Angelopoulos” participates at the Open Schools program, an initiative of the Municipality of Athens with founding donor the Stavros Niarchos Foundation.